The stock market has been on a historic run since the election. A steady series of record highs in spite of a landscape of protests, name calling, and divisiveness. Given the elevated level of widespread acrimony, one would logically expect stocks to be broadly lower instead of at all-time highs. Nevertheless, there hasn’t been a meaningful correction since the before the election. Two weeks ago, the major averages had their largest weekly loss of 2017 and it was first time the S&P 500 had a down week in a month and one-half. It also ended a seven-week winning streak for the Nasdaq and four consecutive advancing weeks for the Dow. The averages got back on the winning side last week thanks to a spike higher on Wednesday afternoon after the Federal Reserve’s increased the federal funds rate 25 basis points. Since a rate hike was widely expected, this decision was discounted. Instead, the rally was driven by dovish comments by Janet Yellen concerning future rate increases. The market had begun to fear four increases in 2017 which could push against economic growth. But, after Wednesday’s press conference, the markets are now expecting only two more in 2017 (three total for the year). Of course, higher interest rates result in increased borrowing costs and lower profits. Not the typical recipe for a good stock market. Furthermore, higher interest rates result in lower present values of future cash flows i.e. lower asset prices. However, past Fed tightening cycles have not always translated into troubled markets. The table below shows the returns for stocks, bonds, and cash during past periods that the Fed was increasing interest rates. 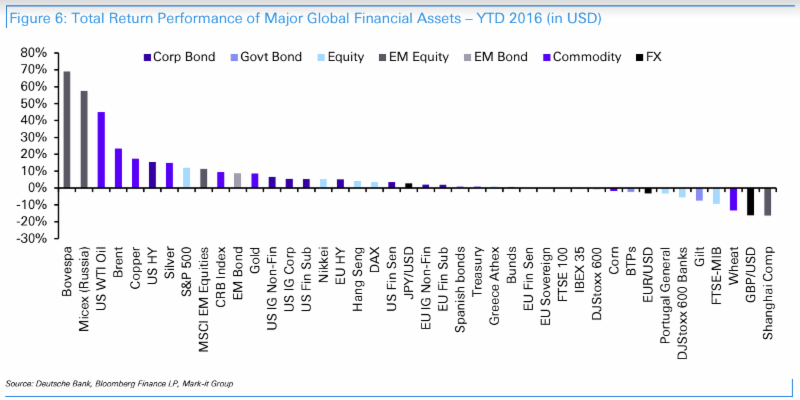 [i] Surprisingly, these asset classes do quite well during rising interest rates. As can be seen, stocks averaged a gain of +21.61% during the 15 cycles since 1958. Even fixed income and cash have historically done well, +5.77% for bonds and +10.26% for cash. Maybe the markets’ current worries are focused on the wrong area – it wouldn’t be the first time. The danger of rising interest rates might increase after the last rate hike. Below is another table showing the average returns for stocks, bonds, and cash after the last rate increase of a cycle. [i] As can be seen, the average returns one year after the cycle ends are much lower for stocks and cash (+8.79% and +6.71% respectively) but better for bonds (10.08%). The average annual returns for the five years after the end of the cycle is 10.79% for stocks, 9% for bonds and 5.77% for cash. A couple of notable and worrisome numbers are the returns after the last two tightening cycles. Stocks did poorly after both examples down 14.83% in 2000 and down 13.12% in 2007. Of course, these were the bursting of the tech bubble and the beginning of the financial crisis, but it causes one to wonder if another bout of higher interest rates will lead to another crisis. 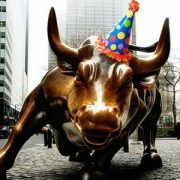 We reached another stock market milestone two weeks ago – the 8-year anniversary since stocks bottomed in March 2009. Much has changed in 8 years. First, investor psychology is very different. It hasn’t traveled the typical journey from deep bearishness to widespread optimism. Instead there remains a general mistrust of the capital markets combined with the begrudging acceptance that some level of exposure to the stock market is required. This mistrust is an extension of a lack of confidence in our financial leaders and regulators. One of the reasons the Federal Reserve was created was to prevent these types of meltdowns. Yet we suffer through a stock market bubble followed by a systemic crisis and the central bank’s response is more of the same approach that led us into these messes. The public recognized that money printing in the form of programs such as TARP and QE together with lowering interest rates was the same old stuff and they didn’t trust it. The markets eventually stabilized but it’s debatable whether the reason was central bank policy or the internal, self-clearing market mechanisms. Another notable difference between March 2017 and March 2009 is the composition of leaders. There are several currently popular stocks that weren’t around 8 years ago. Facebook came public in May 2012. Tesla’s IPO was June 2010. Other significant IPO’s during this time period were Twitter (November 2013) and Alibaba (September 2014). At a minimum, this shows that the markets continue to evolve and move forward. Events over the past year give pause to confident predictions and using history as a guide to the future. Maybe this will be one of those rare years where the first 50-day rally fizzles. Furthermore, the current landscape in Washington looks to be changeable. Given that much of the Trump rally has been driven by anticipated changes in tax code and business regulations, the markets could be susceptible to disappointment if there are delays or cancellations of this agenda. Add to these crosscurrents and confusion the fact that the Federal Reserve will be raising interest rates again later in the year. Then mix in the valuation backdrop of a pricey stock market at all-time highs and we have markets that could use a correction. In the short term, we have end of the 1st quarter approaching which is normally supportive of equities. Perhaps we get a pullback next month. If that happens it could recharge the bulls for another leg higher. Of course, this assumes the economy strengthens and Washington pushes through the expected changes. This promises to be an interesting year. https://kerrfinancial.com/wp-content/uploads/2017/12/af0b801b-872a-4ac5-aa2e-a601bfde9d8a.png 381 600 spowell http://kerrfinancial.com.c1.previewmysite.com/wp-content/uploads/2017/12/kerr-logo.jpg spowell2017-03-20 15:54:252017-12-18 15:55:48Who's Afraid of the Big Bad Wolf? The Trump presidency and the stock market are two perplexing affairs. Given their developments during the past few months, they would be fascinating on their own. Stocks reversed direction the day after the election and have rallied strongly as the Dow surpassed 20,000 and then 21,000. On the other side, the new administration has had an equally unique trip. Twitter has become a news outlet, executive orders are implementation devices, and no one knows what news is real or fake. And while they are separate and independent (kind of), the stock market and the White House have had an undeniable connection since Donald Trump became President-elect. Naturally, the markets are more closely watching the president then the other way around. Investors are scouring the news wires looking for nuggets that will lead to economic growth. The latest example was last week’s Congressional speech which led to an explosive move on Wall Street the next day. All the major averages closed at record highs. The speech didn’t contain much detail as there weren’t specifics concerning programs or initiatives nor a timeline for enactment. Yet it was enough that the indexes rallied more than 1% which was the first time this happened in the last 55 trading days. Here are the where the major indexes closed the week. The Dow has risen through three 1,000 point levels since the election – 19,000, 20,000 and, as of last week, 21,000. And while prices are up, there has not been the commensurate increase in earnings. Below is a graph of the S&P 500’s trailing P/E[i]. As can be seen, history shows other times of higher valuations, however, it will be important to see an acceleration of earnings. It would be much nicer to see this blue line move lower because the “E” is larger rather than the “P” getting smaller. Turning to the numerator in the P/E equation, 63% of reporting companies “beat” earnings forecasts in the 4th quarter. This was higher than the third quarter number and toward the upper end of the range for the past several years. The “beat” rate on revenues was 57% which was also higher than the previous quarter and the highest in two years. Further progress for sales and earnings would be important support for stocks. Certainly, valuations could move higher, but as the chart shows, valuations don’t stay elevated for long. Social media has become a central part of our culture. Presidential tweets, Facebook followers, and LinkedIn connections are now part of our routines. Wall Street, always trying to help (and make a buck) brought Snapchat public last week. In addition to fees on the deal, the investment bankers deserve a round of applause for the timing of the deal – the day after the markets close at all-time highs. We’d bet that they’ll be OK with the fees if they don’t hear an ovation. SNAP IPO’d at $17 per share which was above the expected range of prices. It began trading around $24.50 and moved as high as $26 or 53% above the offering price. At the close of the first day of trading, the company was valued at $28.3 billion. To put this into perspective, Snapchat had a higher valuation than all but 173 companies in the S&P 500. This includes such organizations as Tyson Foods, American Airlines, Hershey, Yum! Brands, Molson Coors, Dollar General, Expedia, T. Rowe Price, Viacom, DR Horton, Chipotle, and Macy’s. Maybe social media companies are more valuable than struggling retailers (Macy’s and Dollar General) and restaurants (Yum! Brands, and Chipotle). Or maybe Snapchat can figure out how to fix their problems[ii]. Moving from stocks to fixed income, bonds got a punch in the nose last week. 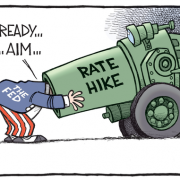 Multiple Fed heads were on the speaking circuit at the end of last week and they were unanimous in calling for a rate hike. The FOMC meets next week with a decision on Wednesday (the Ides of March). Prior to these appearances, the market had only assigned a 33% probability for an interest rate increase in March. That moved to 88% by the end of the week. The 10-year Treasury note’s yield closed last week at 2.49% which was a jump from 2.32% the prior week. It seems that many are worried over the Federal Reserve raising interest rates. The problem with this mindset is that the markets have already moved. Below are yield curves from last month, November and one year ago[iii]. The long end of the curve has clearly moved higher and, as the November and February 2017 yields are so close, this happened well before the much-ballyhooed December increase. The short maturities, the spot that the Fed can control, have not moved as dramatically. Until last week. The three-month U.S. Treasury bill, which began the week at 50 basis points, spiked to 70 basis points by the end of the week. This is not a normal move for the short-end of the fixed income market. There was no immediate fall out last week, but it could be the start of increased volatility throughout the fixed income markets. This has potential to be an economic headwind as higher interest rates across the curve could increase corporate borrowing costs. The combination of elevated valuations and rising interest rates aren’t typically part of the equations that lead to higher asset prices. However, the Trump Administration is teaching everyone that the old rules are subject to change. Wall Street, which encompasses plenty of fickle emotions, could change their view of things at any time. If, for whatever reason, support for the Trump Trade decreases, the capital markets could shift to a more volatile backdrop. However, unless signs of a recession start to appear, any pullback in prices should be contained. It could result in a much-needed correction with attractive entry points for investment capital. Or it could result in monthly Congressional addresses by President Trump. At this time last year the stock market had been falling since New Year’s Day. It was the worst start to any year for stocks. In the prior months, crude oil had collapsed from $100 per barrel in early 2015 to under $30. Further there were broad worries that China would devalue their currency which would place additional pressure all developing economies. Angst and pessimism abound. The markets stabilized in mid-February and began a stair step journey that has lasted a year. This pattern of advance, pause, advance, pause, withstood Brexit, the U.S. presidential campaign, elections in France and Italy, and of course, Donald Trump’s victory. The chart below covers the S&P 500 for the past 12 months. The red line is the 200-day moving average, the blue line is the 50-day moving average, and the black line is the 10-day moving average. These lines provide context for viewing the markets for different time periods. The 10-day line is an indicator commonly used by traders to gauge short-term movements. The 200-day gives perspective for a longer time frame as it is the average for almost a year’s worth of trading and it considered significant when it is crossed – both advancing above and falling below. As can be seen, once the 200-day (red line) was reclaimed in March, it was only tested in late June (Brexit) and just before the U.S. election. Both times the level held and the markets bounced signaling the bulls were in control. Since the election, the 10-day (black) and 50-day (blue) have acted as support for the rally. The steadiness of the rise since the election is another noteworthy characteristic of the chart. There has not been a daily drop of 1% or more since October. This totals 89 trading days which is abnormal. You would have to go back to before the financial crisis to find a streak this long. Here are how the major averages have performed from the lows of last February. Also included are the year-to-date numbers for 2017. Looking in the rearview mirror, it’s easy to think it was a good time to make money and that everyone had a great year. That does not appear to be the case. A lot of money was pulled out of equity mutual funds during the past few years and we have mentioned this in previous newsletters. Of course, a good portion of that capital stayed invested but used exchange traded funds which can be traded throughout the day and, in many cases, have lower expenses. 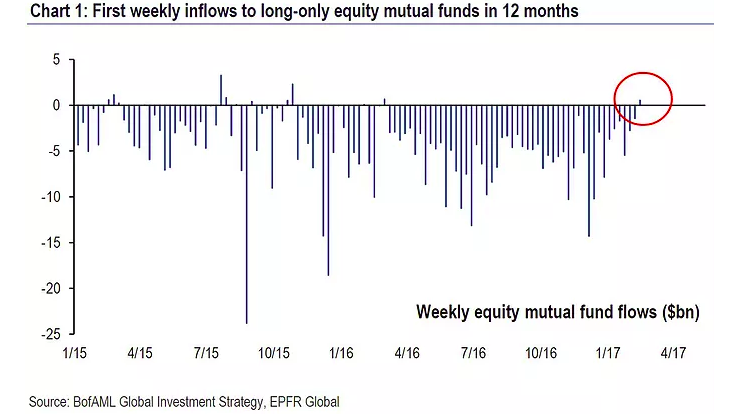 The chart below show the weekly equity mutual flows for the past two years. (ii) Notice the massive and steady outflows especially in the past year as U.S. stocks zig-zagged higher. There was even a large outflow in December as the Trump rally was well underway. Also, please note that there was a net inflow in the last report. On one hand this could be the start to a trend which could help fuel further stock gains. On the other hand, this could mark a capitulation top as the crowd has a history of poor timing. There is an old market adage that stocks climb the stairs up but take the elevator down. In other words, moves lower happen a lot faster than the rallies. The U.S. stock markets have clearly been taking the stairs for the past year. Is there an elevator trip in our future? At some point, probably. But that can provide an opportunity for investors who are properly positioned to put capital to work. The markets have been strong so far in 2017. There have been a series of record highs together with strong breadth. Looking forward, we anticipate that the markets will be much more challenging than they appear in the hindsight of the past 12 months. Remember the volatility surrounding Brexit and Donald Trump’s upset win? It was easy to move to the sidelines and into cash. There will be those types of trials again. But opportunities arise out of these types of situations and a new stairway will appear. January’s employment report estimated that 227,000 new jobs were added to the economy during the month. This was the largest monthly gain since September. Despite this good news, however, the unemployment rate ticked up to 4.8% from 4.7%. This was the result of more Americans, who previously were not looking for work, joining the workforce. The labor force participation rate moved up to 62.9% which was an improvement from recent readings but remains well below the mid-to-upper 60% readings from before the financial crisis. Of course, some jobs are more desirable than others. Likewise, some jobs are more respected than others. As evidenced by the fact that every politician (on both sides) campaigned strongly against it, Wall Street, for many, is near the bottom of the respect scale. Not that politicians are widely adored, but for now they have someone other than lawyers below them. Despite its lowly status, Wall Street rescued the stock market last week. Specifically, it was the stocks of Wall Street that saved the Dow 20,000 level. Returning to the beginning of last week, stocks opened broadly lower and the Dow dropped below 20,000. This was the first trading day after the White House announced the immigration restrictions and there was angst over its fallout. As the markets fell, the buzz was the this marked the end of the Trump rally. After this selloff, the Dow and the rest of the stock market slinked sideways until Friday. With the strong January jobs report, stocks jumped and the Dow reclaimed the 20,000 level. The Dow was up 186 points on Friday which was the biggest one-day gain in almost two months. Looking closer at this, four stocks accounted for 66% of the move. American Express, Goldman Sachs, JP Morgan, and Visa were alone responsible for 124 of Friday’s spike. Goldman alone accounted for 72 points of the move. Thank you, Wall Street! Here is a chart of two banking indexes since the election. 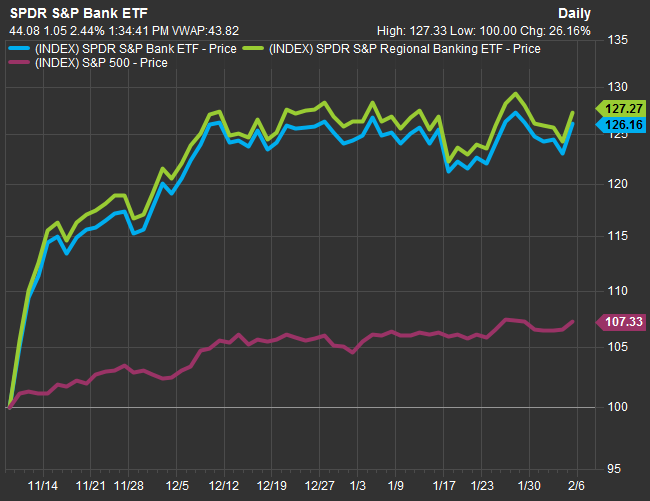 The blue line is the S&P bank ETF while the green line is the regional bank ETF. 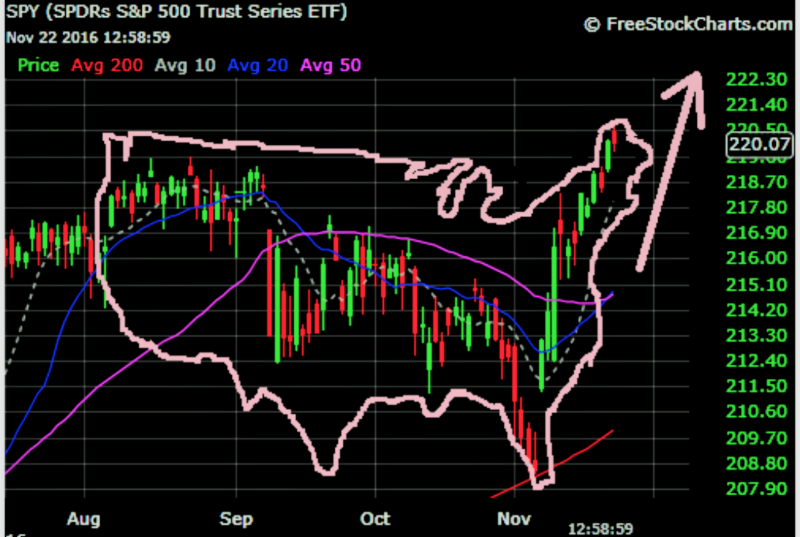 The purple line is the S&P 500. The banking stocks have clearly led U.S. equities since November 8th. [ii] The ETF represented by the blue line includes the major Wall Street banks. 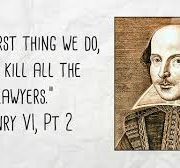 If this continues, investment bankers, stock brokers and hedge funds might claw their way above lawyers and politicians. Friday’s rally helped push the major averages’ YTD performance. The Dow and Russell had some trouble keeping positive during January. After the push higher to start the year, prices drifted lower in the last half of the month. The Dow, S&P 500 and Russell had a three-day losing streak going into Friday’s move. Here are the year-to-date number for the major averages. The fixed income market was much less volatile than the equity market. Treasury yields were a little higher week over week. The 10-year Treasury note closed Friday at 2.496% up from 2.48% the prior week. This yield peaked out in mid-December above 2.6% and since then it has traded in between 2.3% and 2.5%. There appears to be some sellers around the 2.3% level which pushes yields back up once it is reached. Other fixed income chatter involved future Federal Reserve interest rates increases. The March FOMC meeting now has a greater chance of another fed funds rate increase given January’s employment report. Part of the reason for this is that analysts begin with optimistic annual predictions which then gets ratcheted lowered over time. An example is the forecast for the S&P 500 annual earnings number – it starts at a high number showing strong year-over-year growth but gets lowered throughout the year ending up with a much more subdued final number. Again, this has been a pattern for many years. Several market skeptics have been critical of this ‘game’ but the markets have chosen to play along (so far). U.S. stocks have traded sideways for the last few weeks. Given the rally from election day into mid-December, this is a healthy price action. Further, we have seen a rotation of market leadership. Technology, which lagged in the weeks after the election, is the leader in 2017. Also, it’s especially noteworthy that stocks have had plenty of opportunity to correct or selloff but haven’t. With all the acrimony, protests, and general mudslinging since the inauguration, we have had plenty of reasons for investors to reduce risk. Yet stocks remain at record levels and that is encouraging. The economic fundamentals (strong jobs report, corporate earnings, low inflation, etc.) point to growth. This could help support stocks and even push prices higher. There is a lot of uncertainty and stocks valuations are not cheap. But market tops are rarely caused solely by stock valuations. More importantly, if the markets keep climbing, Wall Street may ascend the reputational ladder and we may stop worrying that Henry VI’s line will be changed. The Dow Jones Industrial Average, after many failed attempts, finally rallied above the 20,000 mark. While it seemed like a lengthy, arduous battle, the reality is that it only took 64 days from the time that the Dow first crossed 19,000 to the time it got to 20,000. In fact, this is the second shortest time between 1,000 point thresholds with the move from 10,000 to 11,000 taking only 35 days. To be sure, it is easier to accomplish this with larger numbers as a 1,000 point move from 19,000 is 5.2% vs. 10% from 10,000. This makes the move from 10,000 to 11,000, a 10% jump in 35 days, that much more impressive. The real journey was that from 10,000 to 20,000 – it took almost 17 years as 10,000 was first hit in March 1999. As some may recall, as the Dow got to 10,000 in 1999, the 20,000 mark was just around the corner on a trip to 36,000. At least that’s what some popular pundits were confidently predicting. Unfortunately, some stuff got in the way – the tech bubble, housing bubble, sub-prime crisis, great recession, etc. It’s a reminder that some roads can unexpectedly get rough. Before moving on, a trivia question on the Dow – prior to 20,000, what are the two 1,000 point thresholds that were only crossed once (obviously on the way up)? The answer later. Dow 20,000 is an exciting milestone but when do we get to 21,000. From a momentum standpoint, stock prices have been moving from lower left to upper right since the election. Also, the breadth of advancing issues vs. declining issues has been good which points to a broad participation. Moreover, 67% of the S&P 500 are trading above their 50-day moving average which is a good sign. Finally, the number of new 52-week highs vs. the number of new 52-week lows has been a support for equities. This ratio expanded further last week as the Dow exceeded 20,000. Valuation is another important metric. On this front, U.S. stocks are not cheap. 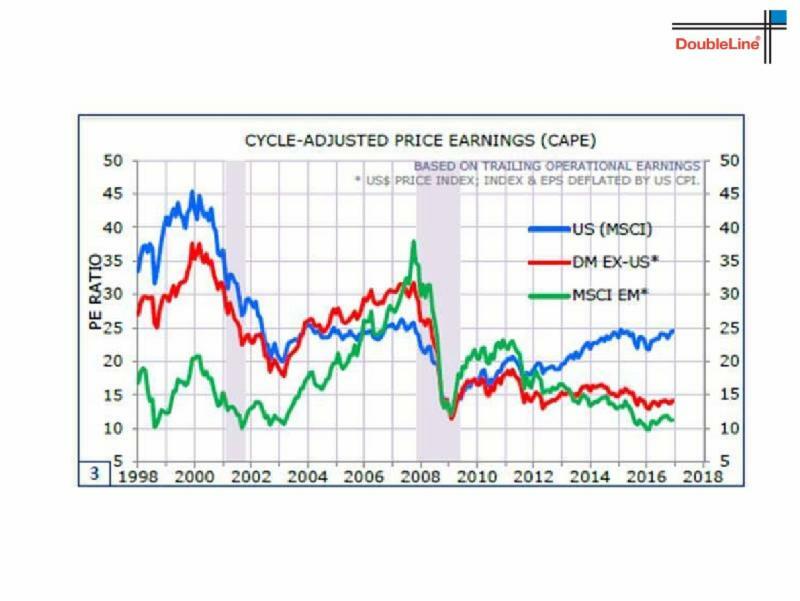 The price-to-earnings ratios for the major averages are below. The earnings component is based on as reported earnings for the trailing twelve months. [i] The estimate is based on forecasted earnings for 2017. While the numbers are not obscene, they are well above what is considered fair value which are levels in the mid-teens. The forward-looking P/E’s are reasonable but, of course, assume a larger denominator in the form of higher earnings. Part of that should be the result of a lower corporate tax rate and a stronger economy but neither is assured. The P/E of the index provides an overall market valuation but breaking them down by sector gives a sense of where the opportunities and risks are. These calculations are done by Bespoke Investment Group and are based on trailing twelve month earnings numbers. [i] On their face value, energy looks extremely overpriced but we would assume that the earnings number was dramatically reduced by write offs forced by the collapse in commodity prices. This P/E should come down in 2017 as oil prices have stabilized and the industry has cut expenses. On the other hand, telecom and financials look undervalued. However, telecom might be facing growth obstacles while financials are dealing with heavy regulations. Both industry landscapes might improve under the Trump administration but the market appears to be waiting for the policy details. Last week we got a first look at economic growth for 2016’s 4th quarter. GDP was reported as growing at 1.9% which was below the expected 2.2%. GDP is calculated by adding consumption, government spending, investments, and exports and then subtracting imports. Investment was much stronger in Q4 vs. Q3 and a big component of this was in mining, shafts, and oil and gas infrastructure. This is a little misleading as there wasn’t a lot of investment in this area as it was only slightly positive. But this was the first quarter since Q4 of 2014 that this calculation was positive. As the energy industry adjusted to the fall in oil and gas prices, wells were shut down and capital investments were written off. The result was a negative number in the GDP formula from the energy industry throughout 2015 and the first 3 quarters of 2016. Another noteworthy number from this report is that investment in industrial equipment is at an all-time high. Businesses are investing in equipment as this amount has exceeded the level reached before the financial crisis. Inventories grew in the 4th quarter which reverses a trend of falling inventories levels for 6 straight quarters. Importantly there was no large drop in demand during this period of declining inventories. In other words, companies cut back on inventories as they anticipated slowing demand that never happened. Historically, this leads to a sharp recovery of inventories as businesses re-stock which is helpful to economic growth. Another positive report from last week was the University of Michigan Consumer Sentiment report. This is a monthly release and its latest reading was 98.5 which is a multi-year high. Consumers are feeling upbeat about their situation and this should be supportive of stronger economic growth. One conclusion in summarizing the above is that the economy is doing well but it has already been discounted in the capital markets. This data along with such things as the job market, productivity, and the housing market suggest a pretty good economy. Market valuations and dividend yields further suggest that stocks have already priced this in and are looking for a continuation of this growth. Turning our focus from backward to forward, we are facing uncertainties. The Federal Reserve will be raising interest rates in 2017 which could be a headwind. Also, it could lead to a stronger dollar which slows exports and pressures the emerging markets. The global financial system is very much linked together so disruptions in other markets could make their way to our shores. This would be an unexpected problem. As we know, there’s a new sheriff in town. This was clearly demonstrated in President Trump’s first week in office. One thing we can assume is that there will be some gigantic shifts that take place. They will impact the economy and there are going to be winners and losers. Concerning the new president, the chart below is something to keep in mind. 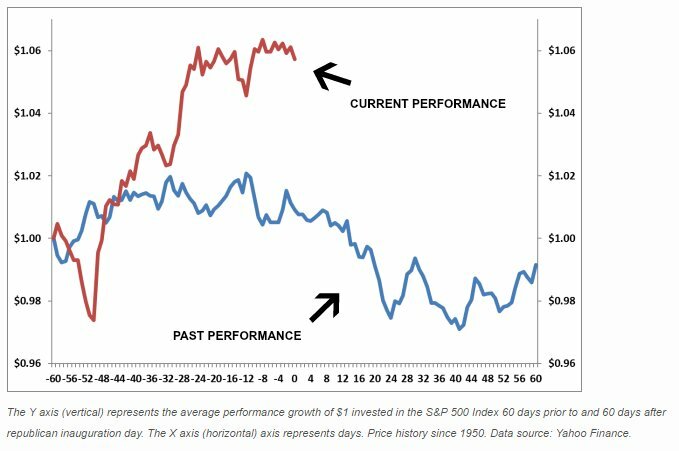 [ii] It shows the performance of the S&P 500 for the 60 days prior to a Republican inauguration day and the 60 days subsequent. As you can see, stocks after President Trump’s victory have outperformed prior GOP presidents. However, there is a clear decline in past examples and it begins around inauguration day. 2016 was a year to expect the unexpected so maybe this trend is broken with this Republican president. Returning to the beginning of this newsletter, the answer to the question of the two Dow 1,000 point thresholds that were only crossed once are 19,000 and 5,000. The 19,000 level could be easily crossed again as it’s only 5% away. Obviously, a normal 10% correction puts that level in play. Let’s hope that the 5,000 number is never in doubt. https://kerrfinancial.com/wp-content/uploads/2017/12/1de9ff6e-4a34-41df-802f-6aeaa119bf96.jpg 605 800 spowell http://kerrfinancial.com.c1.previewmysite.com/wp-content/uploads/2017/12/kerr-logo.jpg spowell2017-01-30 16:04:012017-12-18 16:04:46"Alex, I'll Take 'Stock Market Trivia' for $20,000." Donald Trump was sworn in as the 45th President of the United States on Friday. The inauguration was as anticipated including all of the tradition and pomp. 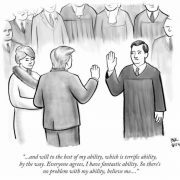 The oath of office, the speeches, parades, balls and celebration, all were done as expected. Looking forward, it may be a while before we get this degree of predictability out of the Trump administration again. Everyone knows the general direction the Trump administration wants to move. There is risk that the implementation of this direction gets complicated. Issues such as tax policy, cabinet appointees, trade policy, fiscal budgets, foreign relations, and regulations are things that need to be worked out and wrinkles could easily arise. On election day, the stock market had a sudden change of heart regarding Donald Trump and has signaled its approval ever since. There is little debate that Washington’s economic influence will shift from hindrance to supportive. Lower corporate tax rates, reductions in business regulations, and fiscal programs and incentives will boost economic growth. An important question centers on how much of these positives have already been discounted. In anticipation of these tailwinds, the Trump rally has carried stocks to record highs. 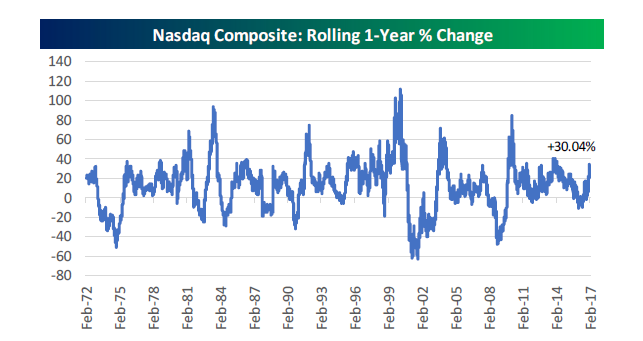 As U.S. equity valuations are above the historically normal levels, this then leads to another question – are we getting a little ahead of ourselves? If the new administration’s transition goes smoothly and its policies and programs get implemented without problems or delays, the economic impact could arrive quickly. This would be stock market friendly for both the current levels as well as higher prices later in the year. However, if President Trump and his team encounter problems with execution of the plans and programs, the stock market could correct. History shows that a president’s first year in office can be tough. 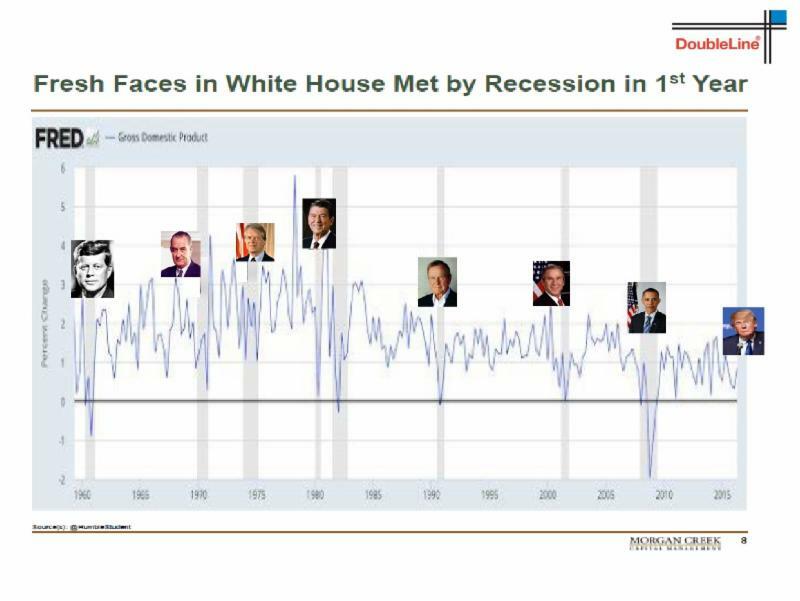 Below is a graph showing the presidents that had a recession in his first year. [ii] This might be caused by uncertainty surrounding a change of direction or battles with Congress or decision making errors. At this point, President Trump might be an exception as there no signs of a recession. Still there are many variables that still could cause problems such as trade wars or a spike in inflation. If the January stock market is any indication on the economy or new president, the short-term message is unclear. After moving higher in the first week, U.S. stocks have traded sideways. Last week the major averages closed marginally lower. The Nasdaq, which underperformed after the election, has been the leader in 2017. In fixed income, bond yields rose last week but are around the same level as they started the year. The 10-year Treasury note closed the week at 2.466% up from 2.38% the prior week. One of the most popular predictions for 2017 is that the U.S. dollar will rise against other currencies. Expectations for higher interest rates together with stronger economic growth make the greenback more desirable. Last week, however, the dollar index fell and it is down 1.47% in January. Maybe dollar bulls have gotten tired. Commodities are higher in 2017 as the CRB commodity index is up 0.78% for 2017. Crude oil and natural gas are lower but precious and base metals are higher. Although it is very early in the earnings reporting cycle, the results have not disappointed. 63% of reporting companies have exceeded EPS forecasts which is about average. The story on the revenue part of the income statement is different. More than half of the reporting companies have missed analysts’ revenue estimates. [iii] The amount of companies reporting will be much higher in the next few weeks and we’ll keep readers informed how the results are. Putting everything together, we think there are a few consensus views for 2017’s capital markets. Many strategists and managers are calling for U.S stocks to be moderately higher for the year. It seems that the expectations are for high single digit gains for equities. As mentioned above, conventional wisdom also looks for a rising dollar and higher interest rates. These experts appear to not overly concerned with potential obstacles and potholes as they believe all of them are manageable. We would like to share in this optimism but have some concerns. First, current events rarely play out as smoothly as everyone expects. Given the proposed and expected changes in Washington, there is a lot that could go awry. With stocks at record levels and elevated valuations, any deviation from a smooth Trump transition that results in stronger economic growth might cause stocks to dip. If the stock market develops some doubts over President Trump or the economy, we would expect prices to correct. We wouldn’t expect a nasty bear market, but a correction that adjusts valuations to more normal levels. It promises to be an interesting year and we look forward to the opportunities in front of us. Actually, can you spare 4 dimes? 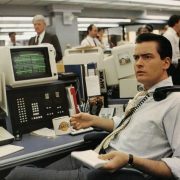 Last Friday the Dow Jones Industrial Average came within less than one half of one point ($0.37 to be exact) of 20,000. Throughout the afternoon there were several attempts to get to that level but the bears defeated each try. Perhaps they should have passed the hat among the floor brokers on the New York Stock Exchange to get the spare change totaling $0.37 and then start the celebration. On second thought, it’s likely that no one had anything less than a $20. While round numbers aren’t supposed to mean anything, there was disappointment in getting so close to this number without pushing through. Below is an hour by hour chart of the Dow on Friday showing how many times and how close we got to 20,000. [ii] It was close but no cigar. Not reaching 20,000 is a calculation anomaly and there’s no real significance to surpassing it. But, obviously, there were large sell orders at that point on Friday. 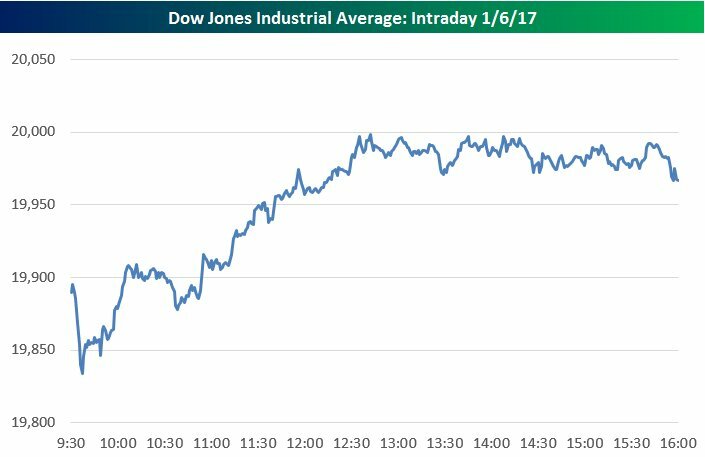 And while there was some dismay over not getting there, the stock market had a good start to 2017 as the Trump rally rolled on. The three major averages had good weeks and all reached new intraday records on Friday. Here are the numbers for the first week of 2017. Interestingly, last week’s leaders were December’s laggards. For example, health care, which was the only sector to post a meaningful decline in 2016, was up almost 3%. On a wider measure, if you divide the S&P 500 into 10 deciles, the two worst performing deciles of 2016 led the way last week up 3.52% and 2.24%. At the other end of the spectrum, last year’s best performing decile was up only 1.08% last week, last place. [iii] To be sure, it is only one week but there was a clear rotation as we began the new year. Bond yields ticked up on Friday after December’s employment report showed that job growth was a little under expectations but wages were up. Since this might be an early sign of inflation which could lead to more Fed interest rate increases, yields moved higher (lower prices). The yield on the U.S. treasury 2-year note closed at 1.19%. The 10-year note’s yield finished at 2.41% and the 30-year bond ended the week at 3%. Fixed income yields spiked higher after the election driven by forecasts of stronger economic growth and fears of larger government borrowings to fund President-elect Trump’s infrastructure programs. On a short to intermediate term, it appears that yields peaked in mid-December and have trended lower since. We would expect yields to drift a bit lower before resuming their climb. For those bond fund holders that got punished in the November and December selloff, this might present an opportunity to lighten up. Or at least shorten maturities. We would look for bonds to resume their selloff (higher yields) later in the year unless there is a shock or signs of a recession begin to develop. As we know, stocks have moved a long way since the election. The potential for a more business friendly Washington has increased optimism concerning the economy and the stock market. And while the regulatory landscape will change, the speed and the degree of this transformation is unknown. This heightens the risk that stock prices have gotten a little ahead of themselves. 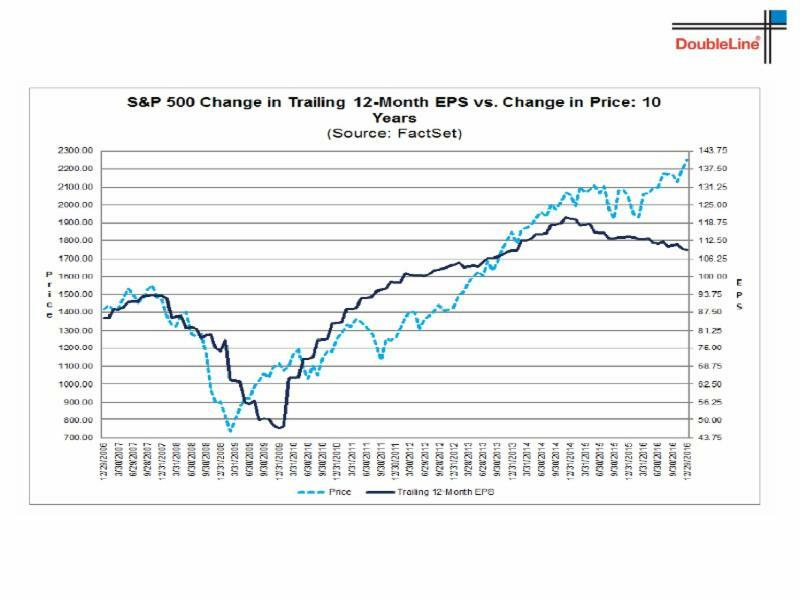 To illustrate this point, below is a chart showing the S&P 500 price and the trailing earnings. [iv] The bright blue line represents the S&P 500 price and the dark blue line is the index’s trailing twelve month earnings per share (EPS). The two lines generally move together but, as shown, the lines have recently diverged. In order for this to return to its historical relationship, one of two outcomes must take place – 1) higher earnings or 2) lower stock prices. 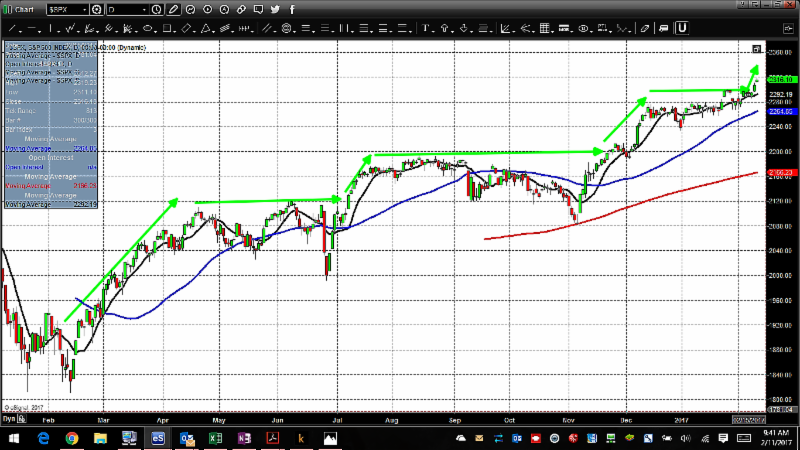 Of course, it’s possible that the lines move farther apart with the S&P 500 climbing higher. And, there is general agreement that corporate earnings will rise in 2017 due lower tax rates and a reduction in costly regulations. However, current valuations are elevated as the rally since election day has priced in a lot of these positive developments. While that graph shows the S&P 500, the chart below focuses on two of Wall Street’s recent favorites. Goldman Sachs price jumped 30% in the weeks after the election and has played a huge part in getting the Dow to the 20,000 neighborhood. Caterpillar is another darling that is materially higher since the election. These two companies are poster children for the upcoming economic improvements. Goldman Sachs will benefit from reduced banking regulations and Caterpillar will be helped by increased energy exploration and infrastructure activity. 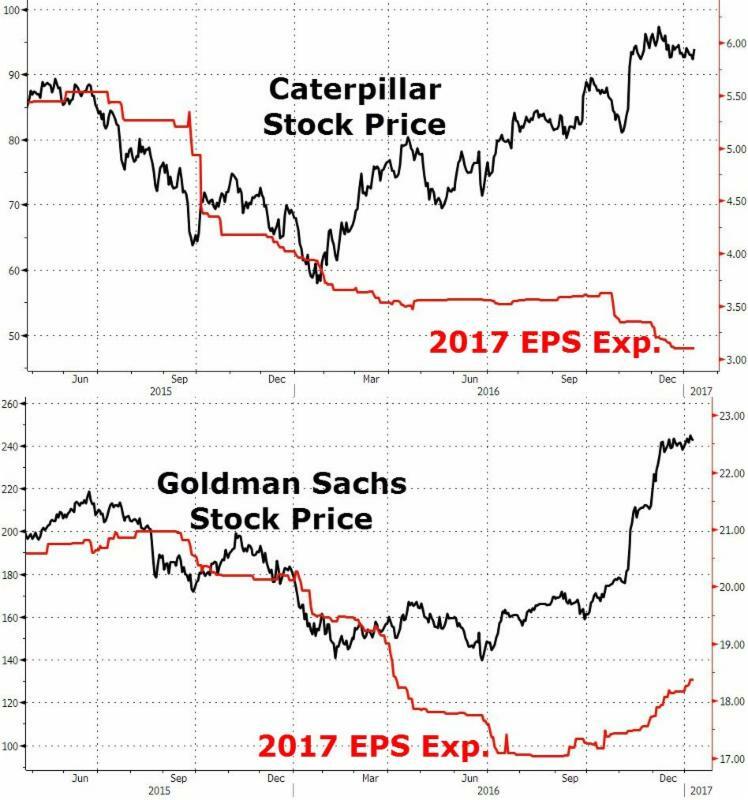 The chart clearly shows how GS and CAT’s stock prices have been moving from lower left to upper right. [v] Further it shows a dramatic widening between the stock price and earnings. While analysts will probably raise the earnings estimates for both companies, they must move them a lot higher to get valuations back into a normal range. Otherwise we could see pressure on their stock prices. And since they are market leaders, this could have a broad impact. An area that we’ve been encouraging clients to consider is the international markets. Both the developed and emerging markets are out of favor and could represent opportunities. They have underperformed the U.S. stock markets since the Great Recession. Moreover, these markets have been further pressured during the last couple of years as the U.S. dollar has strengthened and commodity prices have imploded. One of our themes for 2017 is that we’ll see a consolidation for the greenback. If this happens, it will offer some relief to the emerging markets. Also, from a valuation perspective, international stocks look appealing. Here is graph showing the valuation of the U.S. stock market vs. an index of developed markets and an index of emerging markets. [vi] Both developed and emerging markets trade at much more reasonable valuations as compared to the U.S. Despite falling short of Dow 20,000, the U.S. stock markets had a good start to 2017. It’s said that the key to a good prediction is to forecast an event but don’t provide a timeline. So with that in mind, we predict that the Dow will exceed 20,000 but remain mum on when. In addition to that valuable nugget, we expect a digestion or even a correction for U.S. markets. How severe a pullback, if we get one, is unknown. But it could be a good entry point as we expect U.S. equities trade higher later in the year. 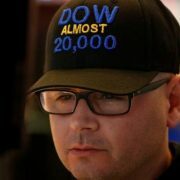 For this reason, we are keeping the “Dow 20,000” hat nearby. In this season of traditions, resolutions and predictions for the New Year are especially popular ones. But for anyone making (or reading) 2017 forecasts, we have a question – don’t you remember 2016? Brexit? Trump? The Cubs? It was the year that made virtually every professional prognosticator look pathetic. Having lived through 2016, how can anyone make predictions for 2017 with a straight face unless it’s the result of an uncontrollable character flaw? Indeed, last year’s surprises covered many parts of our lives – politics, sports, weather, and of course, the markets. Concerning finance, the year started in turmoil with global capital markets falling (U.S. stocks fell over 10% into February marking it as the worst start to a year for the stock markets). Then, remarkably, the U.S. stock market regained these losses before the end of the 1st quarter. Of course, this was followed by Brexit in June with its 2-day plunge and then yet another historic recovery. This bounce in stocks led to an important breakout above a two-year trading range which continued into the U.S. elections. The market gyrations and volatility on election night as well as Donald Trump’s victory were not expected. After the election, U.S. equity markets had a much stronger tone and rallied into year end. Here are the year-to-date returns for the major averages. Also, we are including the move from the election which shows how much of the year’s performance happened in a six-week period. Below is a graph of the S&P 500’s 2016 journey broken down by month.ii The graph’s line is green in positive months and red in negative months. Also, the monthly returns are at the bottom of each month. The graph illustrates the year’s big moves we mentioned above. It shows how dramatic the January/February drop was. Further, the amazing Brexit move stands out at the end of June and, finally, it is easy to spot the trading around the election and the climb into mid-December. The fixed income markets had some volatility as well. Bonds had a strong first half of 2016, some headwinds in the 3rd quarter, and a bad 4th quarter. For the buy and hold investor who doesn’t follow the developments day-to-day or even month-to-month, it may have appeared to be another boring year. The 10-year treasury note started 2016 at 2.25% and ended the year at 2.45%. Pretty innocent on the surface. But this masks some volatility during the year. 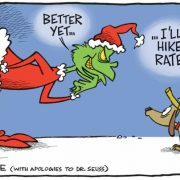 At the beginning of 2016, the markets were expecting 3 or 4 rate increases by the Fed. Instead, as the economy lagged, rate hike expectations were pushed further into the future and accommodative monetary policies continued. This helped bonds as yields fell (higher bond prices) and by the beginning of July the yield had dropped to 1.38%. The yield moved higher in the 3rd quarter as the job market was strong along with some other positive data. From the election to mid-December, yields exploded higher (bond prices plunged) as the markets anticipated higher economic growth under a Trump administration as well as larger fiscal deficits. On a total return basis, the 10-year note lost 3.69% in 2016. Crude oil spiked 45% in 2016 while natural gas climbed even higher, up 59%. Both commodities started from depressed levels after imploding in 2015. Gold had a strong year into September but declined badly in the 4th quarter as the dollar strengthened and interest rates moved higher (both bad for gold). For the year, it was up 8.4%. 2016 was a good one for the dollar as the index (vs. a basket of currencies) rose 3%. Against the major currencies, the greenback was up 3.2% against the euro, down 2.7% vs. the Japanese yen, and up 7% against the Chinese yuan. Some bigger notable moves included a 19% rise against the British pound and a 14% decline vs. the Russian ruble. Turning to international stock markets, Brazil spiked 39% and Canada climbed 17%. Within Europe, Germany and France were up mid-single digits. Japan was flat and China fell 12%. Let’s hope that the Trump presidency has a better start to the New Year than Mariah Carey. While the optimism surrounding the economy and stock market should carry into the new year, expectations are lofty. Tax reform, regulation reductions, and infrastructure programs are assumed to implemented quickly and easily. In general, the consensus is that Washington turns into an efficient machine that will support the economy while still effectively addressing society’s problems. At the risk of making a 2017 prediction, that’s not going to happen. Unmet expectations and implementation delays could result in disappointment which could trigger a correction. Of course, it’s unlikely that the markets would wait for an actual misstep to occur, but rather, some selling might take place before the new administration learns where the bathrooms are. History offers some thoughts on President-elect Trump’s 2017. Since 1928, there have been four times that a Republican replaced a Democratic President. In each of these four examples, the S&P 500 declined at least 6.5% for the new president’s first year.v Maybe a statistical coincidence or maybe a correlation. Nevertheless, something to keep in mind as the term begins with so much enthusiasm and optimism. While it will be tough to compete with 2016, this year could offer its own fireworks and surprises. There are important elections in Europe (Germany and France) and we know how they changed things last year. International relationships and trade policies will be altered which will have unintended consequences. U.S. monetary policy should be tighter than recent years and, who knows, we may even get a budget out of Washington (something that hasn’t happened in years). At this time last year, no one could have predicted what eventually happened in 2016. It is equally impossible to accurately foresee 2017. Whatever happens, there will setbacks as well as opportunities. Here’s hoping a lot of the latter and few of the former. The 3rd quarter began as the dust from the Brexit vote was still settling and ended with widespread worries over European banks, when the Federal Reserve would raise interest rates, and the U.S. elections. In between, there were concerns over a slowing U.S. economy, debates on the impact of negative interest rates, and rumors that OPEC would cut production to try to boost the price of crude oil. U.S. stocks began the quarter by breaking above a 2-year trading range as markets bounced from the Brexit selloff. After this move, markets traded in one of the tightest ranges in history as we went through a 26 day stretch without a 1% move for the S&P 500. September saw volatility return at the beginning of the month with a one-day 400 point Dow drop and a partial recovery into the end of the quarter. Despite the lengthy list of worries, the major averages reached record levels during the quarter – the Dow and S&P 500 in August and the Nasdaq and Russell in September. But these new records don’t equate into a block buster 2016. It’s important to keep in mind that these all-time highs represent mid-single digit year-to-date returns. However, these levels are over 20% higher from the February lows. As a reminder, 2016 was the worst start in history for the stock market as global equities plunged for the first six weeks of the year. It’s been a remarkable recovery especially in the face of the challenges. While financial headlines focused on the record levels, the markets offered some subtle changes that may signal a transition of leadership. Stock indexes have recently been driven by a small group of large cap companies. This was especially evident in 2015 as the FANG stocks dominated the landscape. A significant shift took place in the 3rd quarter. What was lagging in the first six months of the year became the leaders in the 3rd quarter. Also small was better than big as the Russell and the Nasdaq Composite (both have material small cap components) gained the most in the quarter. Size even mattered within the S&P 500 as the smallest one-third outperformed and the largest companies. (Please keep in mind the ‘smallest’ companies with the S&P 500 have market values that exceed $4 billion dollars so they are not small caps.). Overall, notwithstanding the many cross currents, the 3rd quarter was the best so far in 2016. Here are quarterly and year-to-date performance numbers for the major averages. Within the specifics of your account, the closed end funds that I covered in your 2nd quarter letter continued to do well. To review, we took positions in closed end funds that focused on high yield corporate bonds, corporate loans, and taxable municipal bonds. Some of the names are Blackstone Strategic Credit Fund (BGB), Blackstone Floating Rate Fund (BSL), Blackstone Taxable Municipal Bond Trust (BBN), and the Eaton Vance Senior Income Trust (EVF). From the cost basis, the yields we are receiving range from 6% to 8%. We purchased these when they out of favor and were significantly undervalued. Since then they have appreciated in price with some up around 15%. This is a very big move for a bond fund (you normally don’t get 2 -3 years of coupon in price increase). I am monitoring these holdings closely. Some of the issues include the current valuation after the price advance, the possibility of higher interest rates, and a possible recession. These valuations are not extremely overvalued given market and economic conditions. As you know, bond prices move inverse to interest rates. If rates increase, it may present a headwind for these funds. Historically, however, this sector of the fixed income market is more influenced by credit risk rather than interest rate risk. In other words, the ability for the borrowers to service their interest payments to our bond funds is considered strong in an expanding economy. Higher interest rates are typically a secondary concern to the likelihood of debt service. Looking forward to the 4th quarter and beyond, there are some very important sign posts ahead. The U.S. election and the probability that the Fed will increase interest rates in December are foremost. From a glass half-full viewpoint, the 4th quarter is normally the strongest one. The 4th quarter has averaged a 2.7% gain dating back to 1928. Also since 1928, when the S&P 500 is up YTD through September 30th this quarter averages a 4.3% advance and is up 81% of the time. 2016 has been an historic year on many levels. As we work through its final three months, I will continue to navigate possible negatives from the elections and the Fed within the context of strong seasonal period. I will be looking for opportunities while trying to manage risk. Thank you for you continued business and trust. Please contact me with any questions. 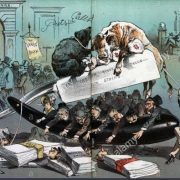 Charles Dow and Edward Jones started publishing the Dow Jones Industrial Average in their newly formed newspaper on May 26, 1896. It began by adding the closing prices of twelve large companies that Dow believed to represent the stock market and then dividing that number by twelve. At the time, The Wall Street Journal was published in the afternoon and cost $5 for an annual subscription. It’s likely that Messrs. Dow and Jones would not have imagined that their stock market index would thrive for over 120 years. Nor is it probable that they would predict it reaching 20,000. Yet, at the end of 2016, the Dow is approaching that threshold. Of course, we’ve gotten here with the help of a 7% rally in the Dow Jones Industrial Average since election day. And while industrial and energy companies have gotten credit, the real heavy lifting has been done by the financials. And among the financials, Goldman Sachs has shone the most muscle. Goldman Sachs closed last week at $241 – up 32% since from November 8th. Goldman is the highest priced stock in the index and because the Dow is a price weighted index (as opposed to a market capitalization weighting such as the S&P 500) it has the biggest impact. Of the 1,282 points that the Dow has risen since the election, Goldman Sachs is remarkably responsible for 408 of them. The next biggest contributors are United Health Care (112 points) and JP Morgan (103). Of course, inquiring minds want to know – why the move? Certainly, Goldman Sachs is a premier organization and a leader in finance and investments. On top of this, the market is expecting lower expenses for the company due to the materially reduced regulations from ‘Trumpnomics’. Also, we can’t ignore the impact of algorithms and computer trading. These systems are often trend following so that once something starts to move higher buyers follow. The “Goldman Sachs” name has been very visible recently as some in top management are moving 200 miles southwest to be part of the new cabinet and administration. Algorithms and trading software constantly search the news for active keywords and phrases so this could have contributed bids for Goldman Sachs. Regardless the reason, Goldman Sachs has recently played a big role in helping the Dow approach 20,000. Naturally this threshold has the financial media’s attention. And as of last week’s close, the Dow is only 244 points or 1.2% away. Last week was the 5th consecutive higher week for the Dow and Friday marked the 14th record close since the election. During that time the Dow has rallied 10.45% which is the best 5 week move since 2011. Here are the year-to-date numbers for the major averages. cannot be invested into directly. These returns do not include dividend. The bond market has been moving in the opposite direction of the stock market. The 10-year treasury yield finished last week at 2.46% while the 30-year closed at 3.15%. These two yields were 1.88% and 2.62% on November 8th. The TLT is an exchange traded fund that tracks the long bond futures contract and it has plunged 9.6% since the election. This is a big move for any security in a 5-week period, but it is an especially violent drop for a supposedly stable asset class like bonds. To put it another way, this drop is 3 years’ worth of interest payments. Unless the world comes to end, the Fed will raise interest rates on Wednesday. While this has been discounted by the markets, the statement and press release will reveal more on the expected actions in 2017. The Fed similarly raised the rate last December which resulted in a strong dollar which caused disruptions in the foreign exchange markets. The Chinese renminbi weaken dramatically and that caused global markets to drop. The stock markets fell in January as stocks had the worst start to a year in history. This year has a different landscape. While the dollar has been strong, the foreign exchange markets are not as fragile as last year. Also, commodities have rebounded from last year’s levels which provide some support to the emerging markets. Even Europe will be trying to normalize monetary policy. Another stabilizing factor is some good economic reports. Recent data has indicated that the economy is gaining some strength. And while these reports have been released after the election, they measure activity prior to November. As an example, the latest ISM (Institute of Supply Management) report was released last week and it showed an increase from 54.8 to 57.2. Readings above 50 correlate with an expanding economy. To be sure, some of this good news has been discounted in the markets. And while we don’t expect a correction, further upside could be a challenge. Still with year-end quickly approaching combined with many professionals under-performing their benchmarks, prices might get bid even higher. That would be a nice Christmas present. https://kerrfinancial.com/wp-content/uploads/2017/12/5629d635-12db-4ec8-bb54-e8543d63d4a2.jpg 496 800 spowell http://kerrfinancial.com.c1.previewmysite.com/wp-content/uploads/2017/12/kerr-logo.jpg spowell2016-12-14 16:22:012017-12-18 16:23:07Extra, Extra, Read All About It!